Now, I don't have access to it at all. Neither in Settings menu, nor among installed apps. 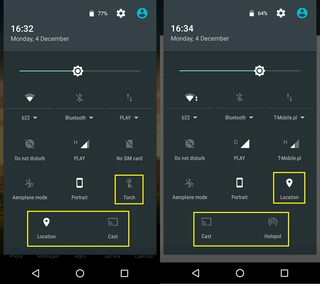 How can I start it on the other phone or how can I "reset" notification area on the other phone to the same state like previously / like on the first phone? EDIT: I have enabled and made use of System UI Tuner > Quick Settings, but it brought no help. I can see Torch icon enabled there, but I still don't see it in quick access area, where I saw it just a week ago and for the past year or so. The same story goes for Broadcast Title and Invert colours icons, which I can add to my layout in System UI Tuner > Quick Settings, but which actually never appear in quick access area. I have just made a test photo with flash light enabled to double check that there are no hardware issues that could be causing Torch icon to disappear. Android security patch level: 1 September 2017. Kernel version: 3.10.49-g5531188 hudsoncm@ilclbld71 #1 Mon Sep 25 05:50:06 CDT 2017. Exactly the same on both devices that I own. This appears to be an old problem cited two years ago wherein torch light and cast icons as in case of OP go missing. Reason attributed is some icons disappear if not used for long and reboot brings them back as it happened in OP's case. Not the answer you're looking for? 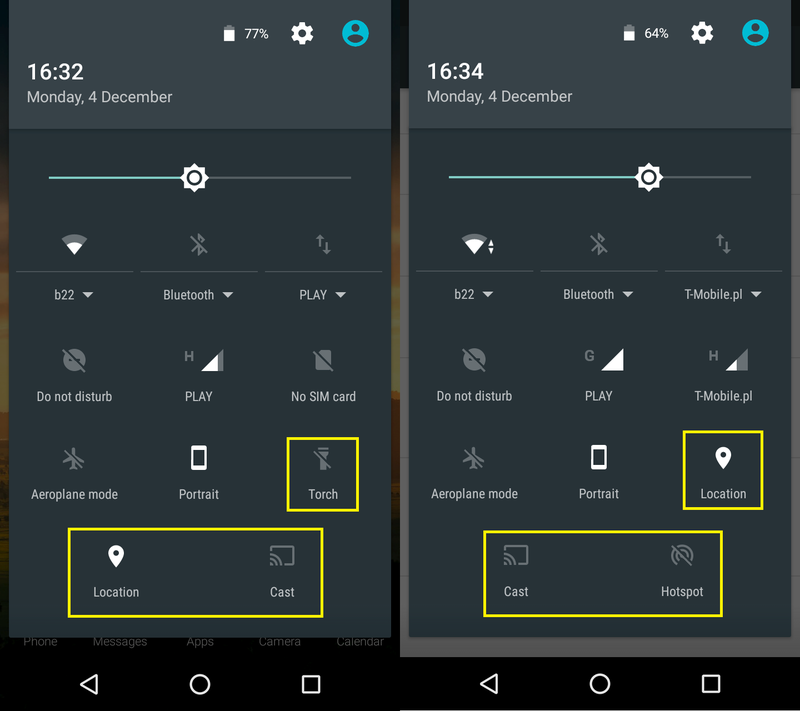 Browse other questions tagged 6.0-marshmallow motorola-moto-g user-interface or ask your own question. Moto G Play gets wako. Speaker fault. How to find source of problem?